The rise of social media platforms has brought an impressive range of new opportunities in communication and what we see is just the tip of the iceberg. As this innovative model just becomes “established” it’s fair to assume we haven’t seen everything yet. History tells us that pioneers have more chances to succeed. Begin early if you want to be successful. Right now there are opportunities for companies that want to make their presence visible, to reach customers in a different way and for customers who expect better service for their money. It’s far more complicated right now to keep a bad experience from hurting your business, viral marketing can fire back. Businesses will have to perform at maximum, avoiding mistakes at all costs before they happen. One angry customer will make sure to be vocal and tell others, which is not always the case for positive experiences, unless they are truly great. Companies need to invest time, energy and passion into maintaining their social platforms. 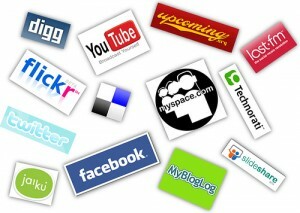 The social platforms are not just places to post an announcement or a presentation about your company. They are places to create, to innovate, to interact and to be in touch with your audience. You need to interact and have a dialogue if you want to make the most of it. The results are well worth the effort. It’s proven that simple presentation pages with no interaction don’t work. The old-fashioned advertising may or may not work for your business, reason why Facebook now bets on promoting your posts instead. What better way to tell your future customers who you are than by offering them your current client’s attention and support on Facebook? A good service in action is way more relevant than sticking a banner in their face. Needless to say that before you start and throughout the entire process, you should make sure that technological requirements are met. If the social platforms ask you to provide a minimum of 150×150 pixels, try to go well above that. Follow terms and see what you can and what you can’t do. Most of the things below will mention Facebook, but they are true for any other social platform. Just as for a digital camera, read the manual! We’ve all heard the cliché of the image that speaks 1000 words. Facebook has proven this statistically, posts with images will have much better clickthrough and hence will gain exposure and market reach. The multitude of friends, fans and the likes on Facebook as well as the fact that Facebook is a productivity killer, makes people to scroll through posts rather than read them. Striking images will get attention. If the visual content is interesting, users will get interactive, either by liking the image, leaving a comment or sharing it. Some companies may go for their own images, from their own photographers. Few have the budget to do it. Many will prefer to use stock images. Some people may complain about the use of stock photography. Due to keeping things generic, some stock images may look false and popular subjects become overused. It doesn’t have to be this way; there are plenty of contemporary stock images that look authentic and real. Some people will prefer to do their own images. While authentic enough for personal covers (arguably, one could use stock photos there too for a maximum impact), it may not work for company pages. In both cases it is useful to do a little bit of reading on photography composition and general photography techniques. This is a must read not only for photographers, but for anyone involved in graphic design or who considers himself a creative person. Given the new format that Facebook applied to all users, it’s reasonable to begin with the cover photo. Its new size and proportion leaves room for plenty of visual messages. No banners, promotions etc., those would be against Facebook’s terms, but visual content. It’s the first thing an existent customer will see when visiting the company’s profile, so make sure to leave an impression. Just as for stock images, the cover photo should lack distracting elements. Its message should be clear, preferably not commercial. You can simply get the viewer in the mood with an abstract image or a metaphor, or it can showcase the company’s products/headquarters etc. While it’s hard to make mistakes with the first, the latter can be tricky. Users are not on Facebook to be exposed to advertisements, so if unsure, choose an image that would be representative to your company but still generic enough. You sell heating and air conditioning; give them an image of an iceberg in the summer and a cozy fireplace in the winter. Are you into purifiers? Nothing works better than fresh water drops. Be creative and make it count. Remember that the image will interact with your company’s avatar. That means its composition needs to be appropriate. Avatar is always on the right, so choose images where the subject is placed on the right side. Luckily, this is one of the most common compositions in photography. Photographers already tend to place the center of interest on the right side of an image. Asymmetrical composition enhances your message. Remember that the experience is the important one, so make sure you balance the composition between the avatar, the center of interest of the image and any other secondary subject. Avoid at all costs using symmetry in your cover photos. Better, try to create a relationship between the profile picture and the cover photo; make them speak to each other. Let’s not forget that Facebook provides the option of a customized Welcome tab. That’s the place where you tell your audience what they will get by being your fans on Facebook. This is where graphic designers can combine creative copyrighting with clean and striking images. You have only one chance to grab the user’s attention. And then we have the profile picture. Usually people upload this first and then forget about it. It is the image that is used in every single post that appears on other people’s walls. As such, it is another visual way to grab the user’s attention. Usually companies will use their logo, but you might want to be more creative than that. Unless your brand is extremely famous and popular, people will prefer anything else, an icon, a colorful abstract with your logo’s pictogram. Remember it’s your post appearing on their walls, so be non intrusive. I suggest illustrations, fun or warm characters including part of your brand’s pictogram and corporate identity. Of course, the more related theme-wise they are to your company, the better the experience. Last but not least, as I said in the beginning statistics show that people interact better with posts that include images. No matter if it’s a link to your site, blog etc. or an image uploaded on Facebook along with a comment. Facebook will place a small thumbnail of the image (or one of them if you linked a page). The image has to be part of your message; it should not just support it but be a part of it. Given the size (usually people will see it on their wall) it must have a clear composition and send the message even if the size of the thumbnail is minimal. It should be colorful (read about which colors attract most), have contrast (dark colors will pop, white will blend into the rest of the wall). Use subjects that are popular with your own users: pet images or funny ones are always popular, but cannot match any company. Don’t neglect the copy. You found the right image; choose the wording of your post wisely. Post frequently, test to see impact in different hours of the day or days of the week. Remember to provide the content that your audience will expect. Know what your fan base looks like and what they enjoy. Read their messages (always respond), check their own walls and see what their favorite subjects are. Unlike email, Facebook provides you a huge wealth of information. Get to know who your customers are, speak their language and don’t forget to listen. 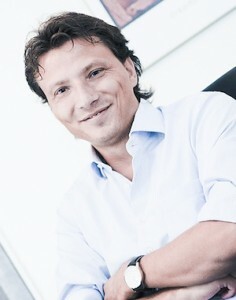 Serban Enache is the CEO of Dreamstime, the stock photography site he founded in 2004. With over 12 years of experience in design and new media, Serban has proven to be a skilled executive, successfully blending creative and executive abilities. He co-founded Archiweb in 1998, an award-winning leader among web design companies in SE Europe, and envisioned the later-to-be stock agency in early 2000.